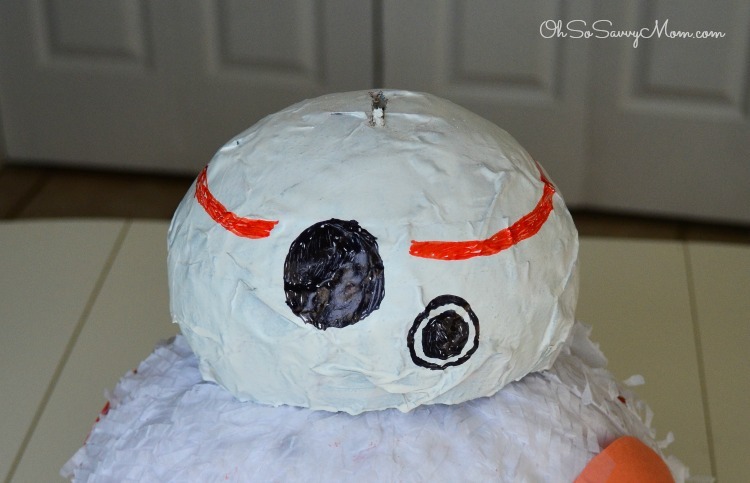 How to Make a BB-8 Piñata for Your Child's Star Wars Birthday Party! 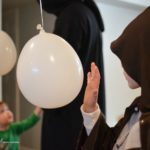 My son absolutely loved his Star Wars Birthday Party! His homemade BB-8 piñata turned out so fun! 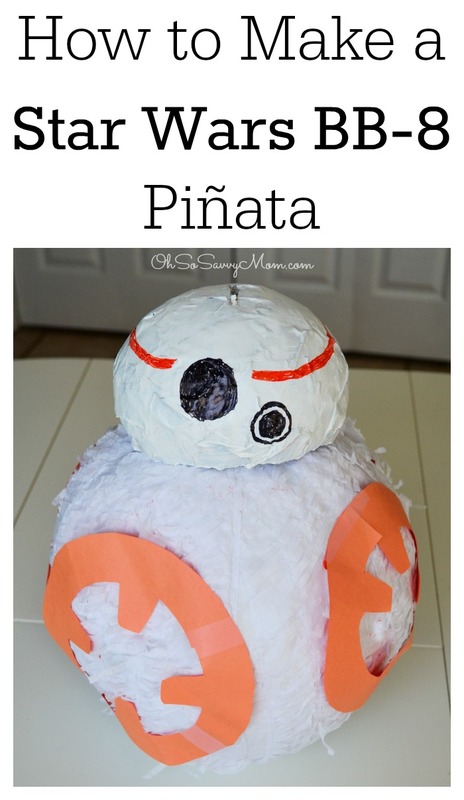 Come see how to make a BB-8 piñata! 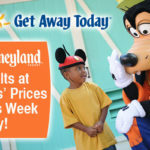 Affiliate links are present in this article. Should you purchase through any of these links (THANK YOU) I will earn a small commission. We try to have fairly frugal birthday parties. 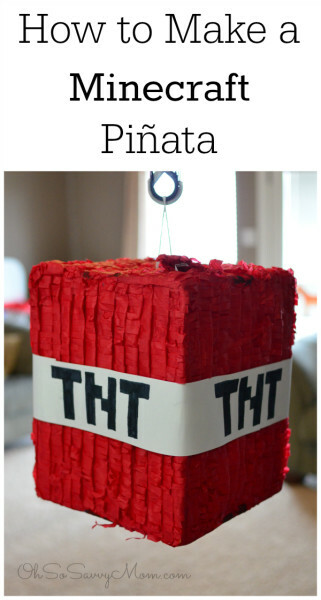 When planning a birthday party, our first party planning priority is always the piñata. My kids will not hear of having a party without a piñata. My son wanted a BB-8 piñata . Unfortunately, none of the stores near us had BB-8 so I decided to make a BB-8 Piñata. 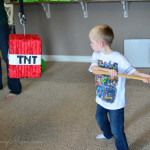 His Minecraft piñata from a couple years ago was such a success, I figured, I could pull it off again. Like our Minecraft Piñata, our homemade BB-8 piñata was a hybrid of sorts. He was one half store bought piñata and one half paper mache BB-8. 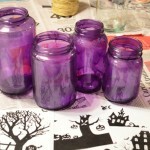 While it’s really quite simple to make, it does take a fair bit of hands-on time and drying time. 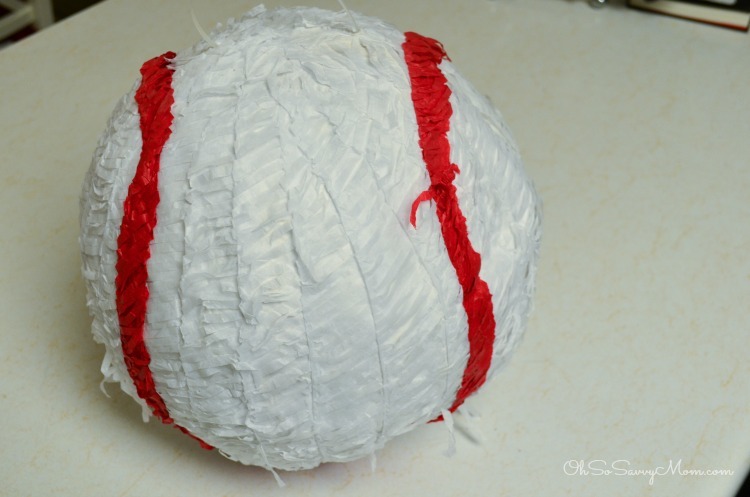 I began by buying a baseball piñata because I needed something round for the body, plus, at $10 for the baseball piñata it’s going to be very inexpensive to make a BB-8 piñata. I purchased mine at a local store, but I’ve included the link to one on Amazon for convenience. 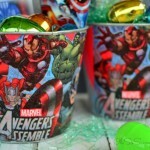 Begin by making a paper mache mixture with 1 part water and 1 part flour. 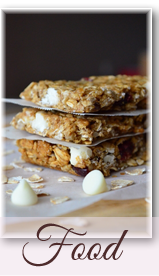 Start with 1/2 cup flour and 1/2 cup water. You can make more later if you need it. Next, tear strips of newspaper not more than 12 inches long. Blow up a balloon the size you want your BB-8 head. Note, you’ll only be covering the top 1/2 of the balloon with paper mache. 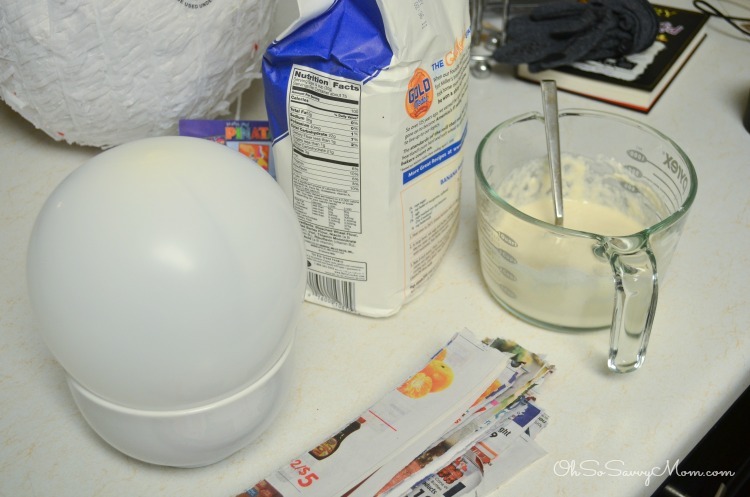 Set the balloon in a bowl or dish where it can be supported. Next, dip strips of newspaper into the paper mache mixture. Run the paper through two fingers to get rid of excess mixture. 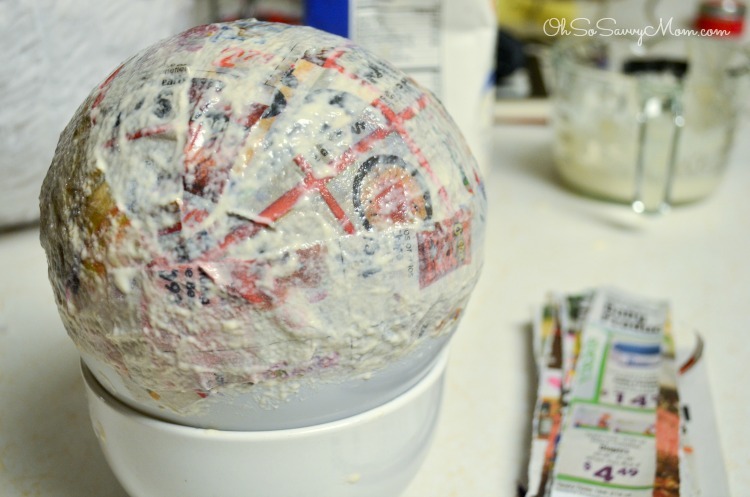 Cover the top half of the balloon with paper mache. The bottom does not need to be perfect. 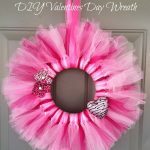 You can trim the bottom once the paper mache is dry. 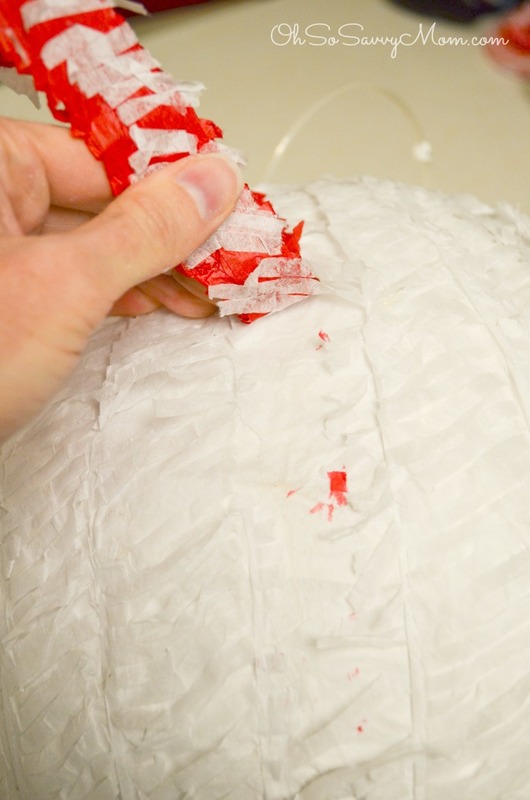 After you set your paper mache BB-8 head to the side to dry, take off the red paper that makes the baseball stitching on the store-bought portion of your pinata. Let the paper mache dry overnight. Once the paper mache is dry, trim the base of your paper mache BB-8 head to make sure it is all uniform. Spray paint white and let dry 15-20 minutes. Using Sharpie markers or acrylic paints make the “eyes” and the orange line circling the top of his head. 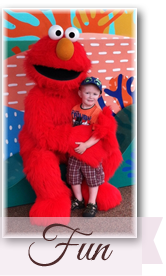 At this point we were really strapped for time because I decided, last minute to attend a conference on the morning of the day of my son’s party. Crazy, but everything worked out. We opted for the quick method using Sharpie. Using a knife or scissors, make a slit in the top of BB-8’s head. You’ll attach the rope to the actual pinata and thread the rope up through the BB-8 head. Okay, now for the last part. Print and tape BB-8’s orange circles on. I’m sure you can do a better job taping the orange circles on than we did. We were racing the clock to get this done before the party after I got home from my conference. 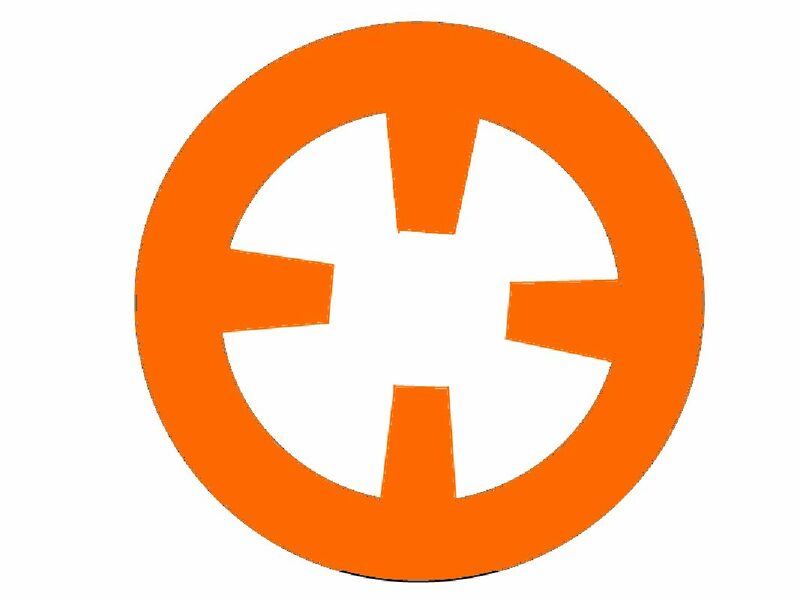 Click the image below to print out BB-8’s orange side circles. 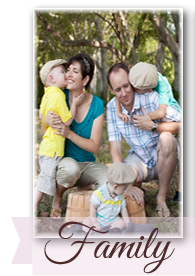 One word of advice, parent to parent. 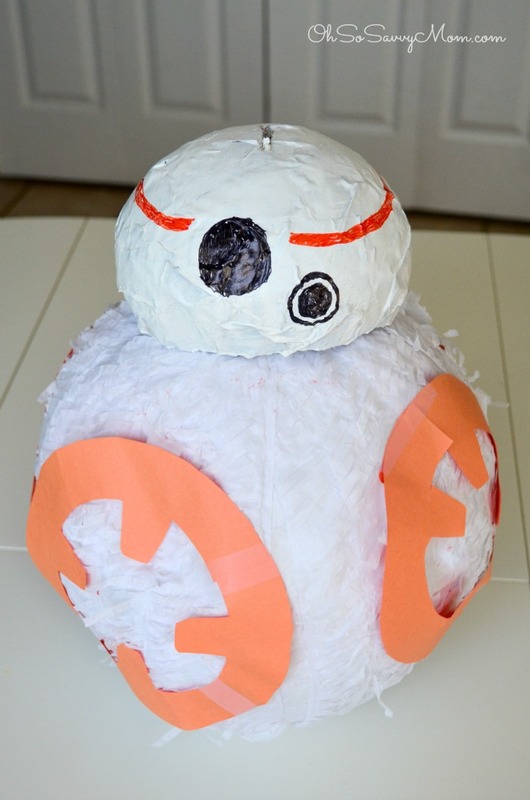 Don’t worry about making your BB-8 pinata perfect. 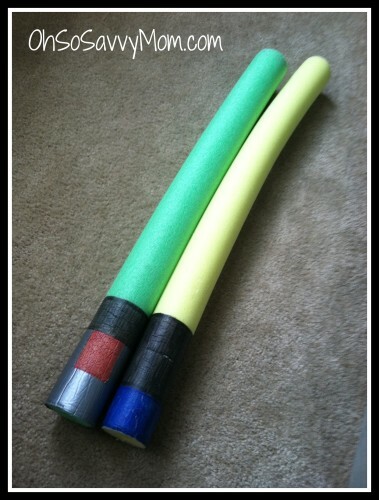 The kids are only going to look at it for about 3 minutes before they bash it to pieces. 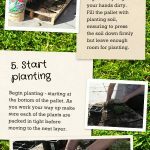 If you liked this post, make sure you check out these other fun projects! 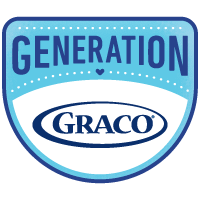 Previous PostGreen Chile Casserole Recipe – Tasty Clean Eating & Gluten-Free!